Developed with your active lifestyle in mind, the new iPad 3Defender Series case employs multi-layer technology combined with high-quality materials to create the most solid protective solution. The Defender Series for the new iPad is also compatible with the iPad 2. 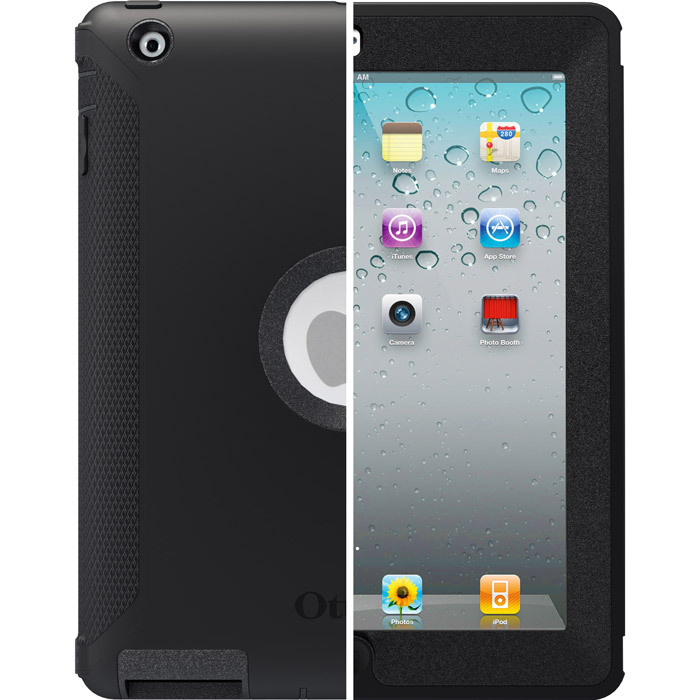 The new iPad 3 case is built with a high-impact inner polycarbonate shell that includes a built-in foam interior that provides additional shock absorption and protects the back of your new iPad from scratches. The rugged silicone skin absorbs the impact from bumps and shocks while the textured exterior provides for added grip. The built-in screen protector prevents scratches, smudges and fingerprints from getting on your high-resolution screen. The precision design of our new iPad case ensures all features and functions are accessible with the case on, so you can stay protected while connected. The integrated shield stand acts as a protective cover on the front or the back and doubles as a stand for typing or viewing. Magnets on the shield stand activate the device's sleep mode when the cover is snapped on the front of the screen. The shield stand also allows for viewing in landscape and portrait mode. From original concept to final design, the Defender Series new iPad 3 case was developed to create the most usable and protective solution possible. The Defender Series new iPad case is perfect for those of us who are constantly on-the-go, have small children or are generally graceless with our personal electronics. This case provides added protection against bump, shock, drop and dust intrusion. Case is NOT protective against water.